This mod allows you to pick any picture of the internet and bring it to minecraft. 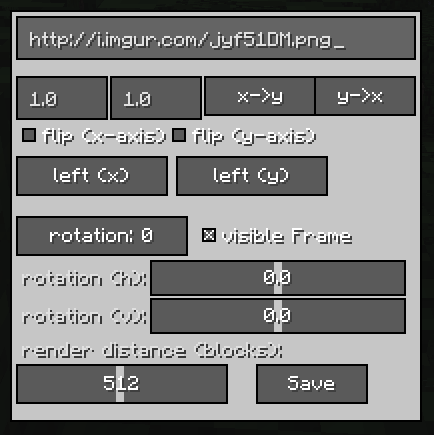 You can choose the size, rotate or flip it. You can do basically everything. No need for uploading files to the server (no need for storage) and no laggy server (no need for sending pictures to all clients). The idea is to copy a link from the internet and paste it into the frame. So all client will download the picture themselves, because nowadays everybody has internet, especially if he is playing on a server. To add your own pictures, i recommend to use imgur or similar websites. 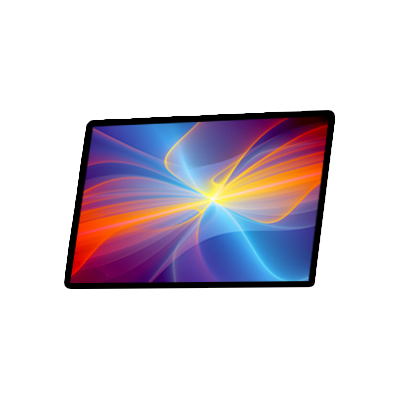 This mod also adds support for LittleTiles providing more freedom of placing your pictures everywhere you want to. You can also make a structure out of it. Can you send me the link you tried to use? The link of the picture. OK, the problem is that you link a website, not a picture. You have to make sure you link the picture directly. I would recommend to right click the picture and hit 'copy image address' to make sure your url is not linking the website showing the image. In your case the url would be https://i.imgur.com/YEKEvXZ.png then. thank you! I didn't realise. ok, this string of comments is over. edit: nope, I'm doing wrong things. please help. I know, I'm useless. Actually you don't need an imgur account. You just need to copy the image url. How do I make the image bigger? I put 9 frames together and loaded an image in the center one (I'm used to the ExtraUtils2 Screens and this is how we did it with them). When I do this, only the center frame shows the image. The other 8 around it are blank. Also, a feature request. Add an option in the GUI to set a background color for the frame. We have a transparent white logo that it would be cool to set the frame to a black background so the logo shows up better than being washed out by the wood. I know the frame can be set to now show behind it meaning I could put it on a black wall, but where I am testing it, the building is already done in limestone bricks so the black wall behind the frame wouldn't work as it would be a black wall inside. You only need to place down one frame, you can scale the picture above one block space. You can make the actual block invisible (as you mentioned already), that would allow you to build something behind it, or you could also modify the image and add a background color. Just put it into your mods folder, no need to extract it. I can't seem to figure this out. I have creativecore. Does it only work on servers? It should work on both. Does it crash or is it just not there? Whoever Created This Mod Has a Smart Brain! U Made My Whole Day! Thanks So Much! Thanks, although I'm quite sure my brain is rather ordinary.